British Columbia's hot springs are some of the most beautiful in Canada, ranging from Harrison Hot Springs luxurious mineral baths to more humble and less known waters. BC's hot springs are beloved by Vancouver residents and travellers as an escape from the big city. Thank you to the 2012 Chevrolet Cruze for sponsoring the "Top 8 DayTrips from Vancouver" series. 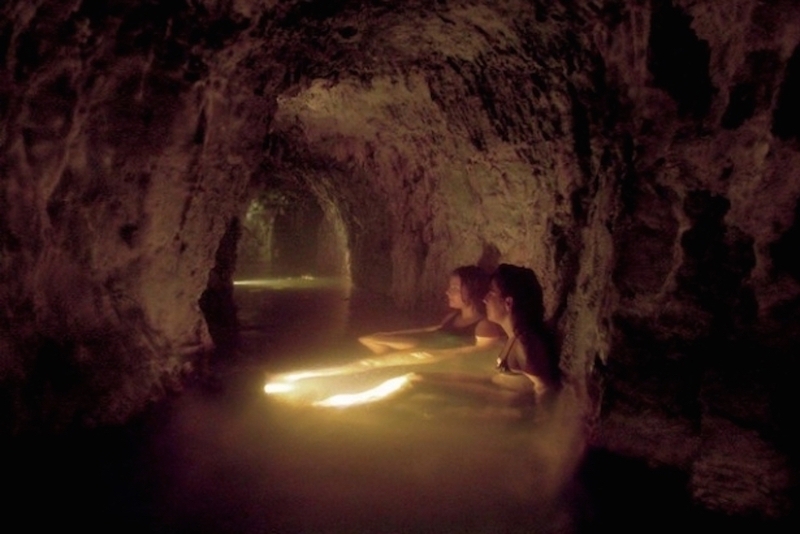 Ainsworth Hot Springs, near Nelson, British Columbia, features a thermal cavern tunnel, cold plunge pool, and natural sauna. British Columbia's hot springs are some of the most beautiful in Canada, ranging from Harrison Hot Springs luxurious mineral baths to more humble and less known waters. 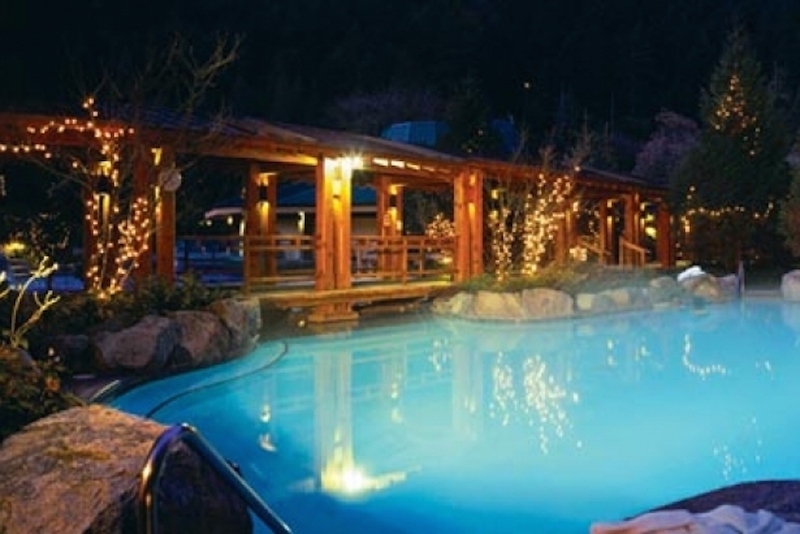 BC's hot springs are beloved by Vancouver residents and travellers as an escape from the big city. Only a one and a half hour drive from downtown, you can start your hot springs adventure on Harrison Lake, where the famed West Coast mountains drop down to the water. 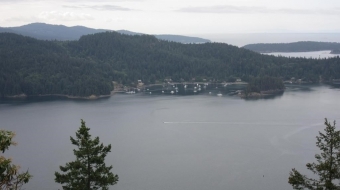 Once you arrive there, you won't want to leave, so consider a couple of days in Harrison. Then you can move on to other destinations where travellers will be rewarded with the benefits of natural waters that are almost medicinal, as aches and pains, and problems, slip away. 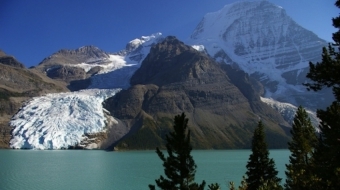 Harrison Village, BC, boasts a magnificent setting and lovely hot springs. 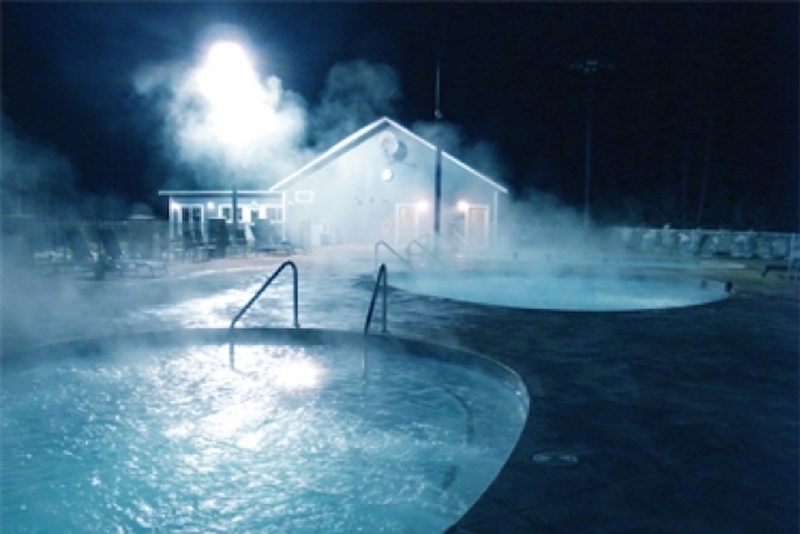 Less than two hours from Vancouver, the thermal waters of these hot springs attract vacationers all year round. Exceptionally high in mineral solids, they are believed to heal rheumatism and arthritis. In fact, the Coast Salish indigenous peoples have long considered these hot springs a healing place. For good reason, Harrison's springs have drawn stars like Clark Gable, John Wayne and Liam Neeson (not all at once, obviously). The two thermal sources feeding the Harrison hot springs are at 40 and 65 degrees C – plenty hot for any spa-seeker. Unfortunately, closeness to Vancouver comes at a cost – the popular BC tourism destination's best array of hot, warm, and cold baths are only available to guests of the Harrison Hot Springs Resort – either hotel or spa guests. The resort is a pleasure for families and one of its best features outside of the baths is the Sunday morning buffet which is truly a feast. Travellers can also enjoy the full range of spa services and four large pools, including a lap pool with a view of the nearby mountains peeking over the hotel. In the summer, paddle boats are a fun adventure for children and the beach by the lake offers a nice walk with viewpoints to enjoy dramatic sunsets. There's a more affordable public hot spring-fed pool just down the road, but it simply doesn't compare to the resort's five naturally hot pools, calming ambiance, and waterfall rock sculpture setting. The cheapest way for travelers to access to all the hot springs is a 25-minute relaxation massage ($100), then explore the rest. They're open 5 a.m. to 1 a.m. so there's plenty of soak time. This hot springs in British Columbia is the most undeveloped on the Vancouver Observer's list, and is only accessible by traveling on a rough gravel logging road. It's not to be confused with Lussier, the hot springs near Skookumchuck in interior BC. But for travellers looking for adventure on their vacation in British Columbia , plunging into these incredible wilderness baths – just over four hours from Vancouver – will be worth your while. Located on the edge of the stunning Lillooet River, BC, roughly an hour south of Pemberton and Mount Currie, these popular hot springs on Port Douglas, Skatin and Samaquam First Nations territory feature a campground if you decide to stay the night.